‘It should have been the final’ and ‘the winner of this semi-final will win the tournament’ are two lines we’ve heard uttered on more than one occasion. Though we all know football is a game that doesn’t work like that and so the fact that England have beaten all three of the other semi-finalists in the past eight months (two of them, away from home) and sit much higher in the rankings (Netherlands are 12th, Denmark 15th and Austria 24th), will count for little come kick off time tonight. The Dutch have stepped up a level in terms of performance from when England faced them in Tilburg at the end of November (the defeat that effectively marked the end to Arjen van der Laan’s 15 month tenure). They are more threatening in attack – which was venomously fast already – and confident in their shape, which combined with their ability for neat play and physically robust defending, makes them a tough nut to crack. There will be dramatic duels and match-ups all over the field, with WSL team mates facing each other and some of the ‘form’ players in the tournament coming face to face. Apologies this is more a blether than a full on analysis (others have done a great job) but I’m going to the game as a ‘full-on-fan’, am meeting people in Enschede 5 minutes ago and I’m as excited and nervous as you are. Buoyed rather than timid in the face of the raucous support offered by the ‘Orange Madness’ (as described by one Dutch journalist), and with the dangling carrot of a final place at stake in the same stadium on Sunday, the rankings seem more irrelevant than ever. Both teams have perfect records so far in these finals. The hosts beat Norway 1-0, Denmark 1-0 and Belgium 2-1 to top Group A before seeing off Sweden 2-0 on Saturday. England defeated Scotland by a competition-record 6-0, Spain 2-0 and Portugal 2-1 in Group D prior to Sunday’s 1-0 victory against France. As you may remember, or will have read often, England beat an ultra (we mean ULTRA ultra) defensive Netherlands side in 2009 to reach the Euros final in Finland. We all know how much the game has developed in those eights years at home, but what has changed for the Oranje Leeuwinnen to be so strong coming into this tournament? “We are more calm on the ball, we have improved attacking, everything around the game is more professional than eight years ago, everything in the Netherlands has improved a lot,” explained Danielle van Der Donk. Both sides can write history today and both sides have some experience of semi-final disappointment, though England’s is more recent and more raw, certainly at the time. Do Sampson and his squad still reflect on that devastating loss to Japan in Canada in 2015? “You learn from every experience, good and bad,” he explains. “Even though the bad experiences aren’t the most pleasant at the time they’re probably the ones you learn the most from even though that one was devastating for me and the team. “And I was very proud of the way the team responded [against Germany]. It proved we had learnt lessons from how hard it was to lose that game. The tough times are the ones you learn the most from and it helped the team improve. “We’ve got better and stronger from that as a team – as tough as it was at the time – because of the way the game ended, it was hard for the players. They didn’t all wear their heart on their sleeves. It was a tough moment and difficult for the players. But they were a united team, they all pulled together to make sure everyone was looked after. And the pressure will certainly be high (and orange-tinted) in FC Twente’s stadium in Enschede, which is a sell-out at 30,000. 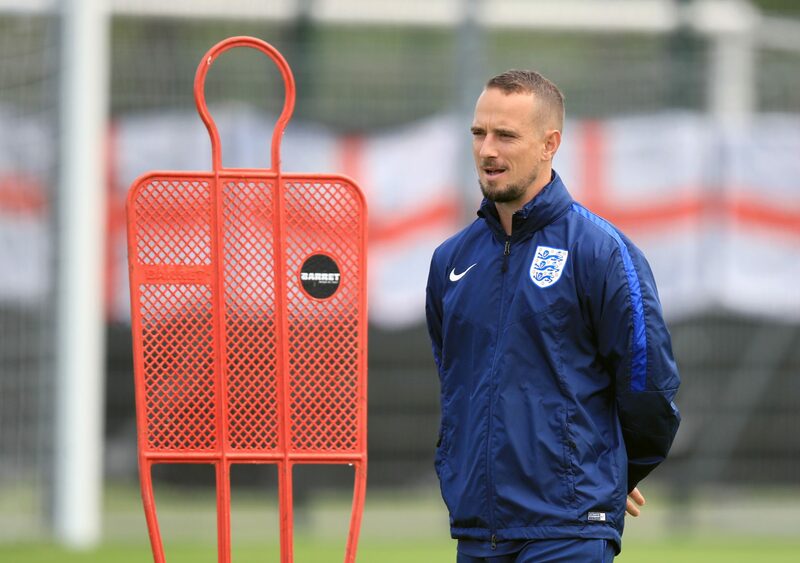 Sampson insists England will not be phased by it – citing their 2-1 win over Canada in 2015 in Vancouver, in front of 52,000 Canadians as an example – and have methods to cope with the problems such a situation can pose. “Thursday’s a huge game for both teams, playing the hosts in their own backyard. But beating Canada in Vancouver was a great experience and America as well – there were 30,000 in New York this year (when we beat the US). So we’ve beaten the US in America as well. Both those games give us confidence that we can win in front of big crowds in these ‘no tomorrow games’ where you’ve got to perform at your best. A lot of our players have been involved in matches like FA Cup finals too, so we feel very confident we can be at our best in this type of massive game. We do understand the magnitude of the game. It’s a massive game for Holland, it’s a massive game for us. We feel in a good position to handle that pressure. The England team are clinical, hard-working, unified, and buzzing from their victory against France and the very clear message they have been repeating from before the Euros and since they arrived in the Netherlands is that they believe that they will win this trophy and they are staying to the end. Tonight we will find out if what they believe is true.